Janine Pearson of J9Design, our website designer, has been an eTown fan for years. 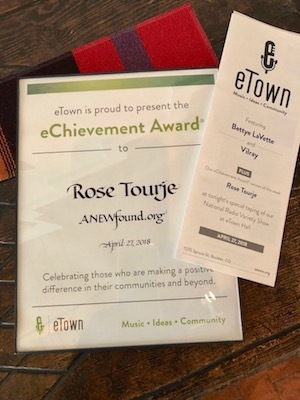 After we met to discuss the creation of our site, she thought that founder/president Rose Tourje would be a great candidate for an eChievment award. Winners of the eChievment award are nominated by listeners of eTown and these awards have been given to people all over the world who are helping make their communities a better place. The producers of eTown invited Rose to talk about all things ANEW on their program. Guests from the worlds of music, community and sustainability seamlessly share the stage before a live audience during the shows’ productions at eTown Hall; check out who’s appeared on their shows since 1991 here. We’ll post the audio recording of the session as soon as it’s available. 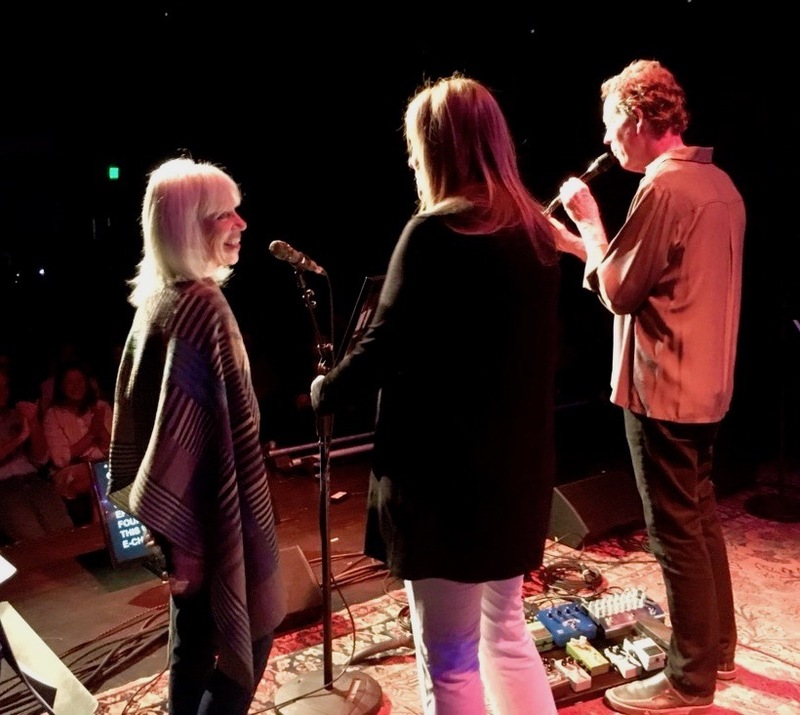 Meanwhile our heartfelt thanks to Nick & Helen Forster and Corey Jones of eTown!